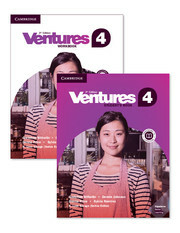 Ventures 2nd Edition Level 4 Student's Book with accompanying Self-study Audio CD contains 10 units composed of six lessons each on relevant adult learner themes. 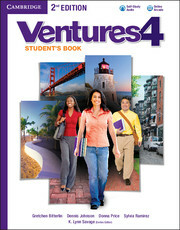 The two-page lessons are designed for an hour of classroom instruction. 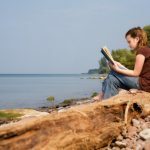 Culture notes and speaking, reading, and writing tips enrich and support exercises. Review units include sections focusing on pronunciation. It also includes a self-study CD with audio for the listening lessons and readings.